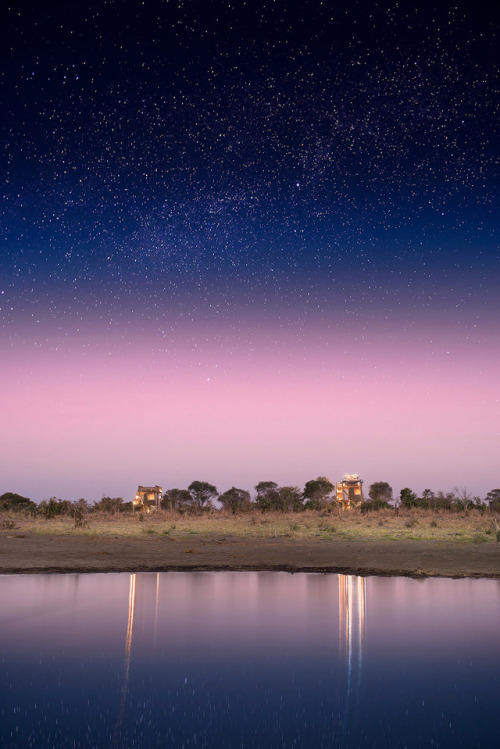 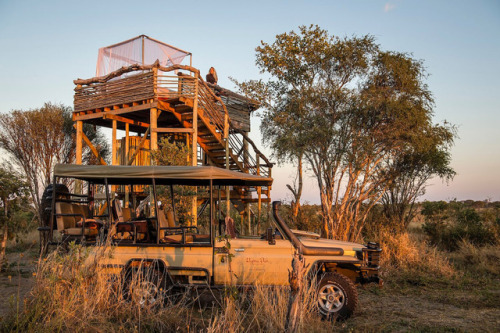 Set amidst 495,000 acres of pristine Botswana wilderness, the Skybeds at Khwai Private Reserve offer a completely original safari experience. 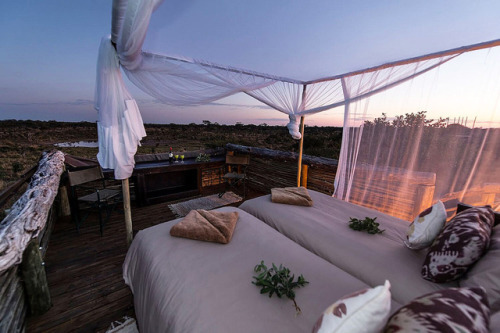 Towering above the game-rich planes, each three-story unit has its own romantic alfresco bedroom for sleeping under the stars in the heart of the African bush. 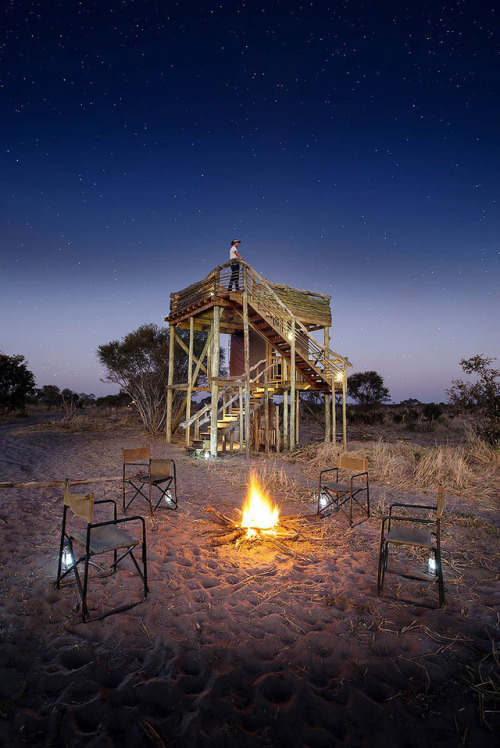 With only 3 luxury sleep-out platforms, this is one of the most exclusive private camps in the Okavango Delta, and its privileged location near a busy waterhole makes it a magnet for the lions, elephants, giraffes, and other animals roaming the area. 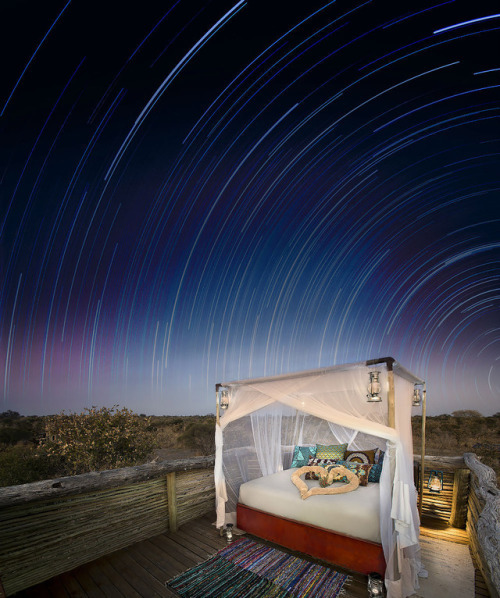 Back to your elevated, starlit bedroom – this strikes the perfect balance between stylish and rustic, with private bathroom & changing area, as well as a comfy bed wrapped up in an ethereal mosquito net.